Living a Fit and Full Life: Jam Out While You Glam Up with iHome's Double-sided Bluetooth Vanity Mirror! 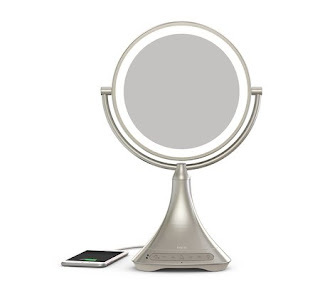 Jam Out While You Glam Up with iHome's Double-sided Bluetooth Vanity Mirror! Jam out while you glam up with iHome's Double-sided Bluetooth Vanity Mirror! There really is no better way to put on makeup than by jamming out to your favorite songs. 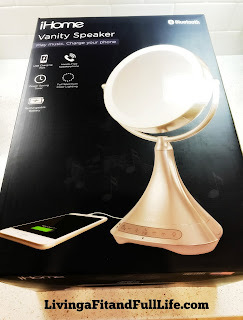 With iHome's Double-sided Bluetooth Vanity Mirror you not only get an amazing mirror that allows to to see your skin like never before but you get a bluetooth speaker to play your favorite music on. iHome's Double-sided Bluetooth Vanity Mirror has 1x and 7x magnification to help you with your beauty routine. Whether you're plucking your eyebrows or applying makeup you'll absolutely love this mirror! iHome's Double-sided Bluetooth Vanity Mirror has bright LEDs with high and low settings that provide natural looking light for a look that's right in any situation. This mirror also has a Built-in mic so that you can even take hand free phone calls while your getting ready. And, as if all that wasn't good enough it even has a USB port to charge most mobile devices! iHome's Double-sided Bluetooth Vanity Mirror is absolutely amazing and I highly recommend it! Click HERE to learn more about iHome! 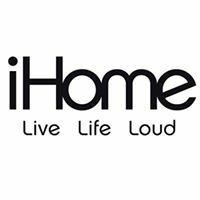 Follow iHome on social media!